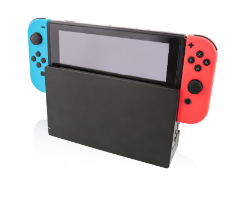 LOS ANGELES – Oct. 11, 2017 – Inventive console accessories manufacturer Nyko today launched Portable Docking Kit and Boost Pak, two new products for the Nintendo Switch™. The highly anticipated Portable Docking Kit lets gamers connect their Nintendo Switch to any HDMI TV with ease while on-the-go. The kit comes with a Type-C AC adapter and HDMI cable, and the dock features three USB ports. The dockable Boost Pak extends gameplay by after the Switch’s internal battery runs out. 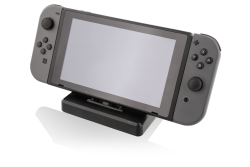 Portable Docking Kit is now available at Walmart, GameStop, and Nyko.com for an MRSP of $49.99, while Boost Pak is available at Walmart and Nyko.com for an MSRP of $29.99.